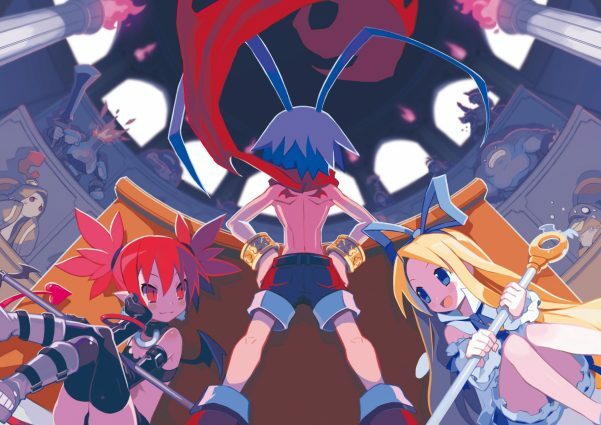 Nippon Ichi Software America has brought the Disgaea series full circle with Disgaea 1 Complete on the Nintendo Switch and PS4. Disgaea: Hour of Darkness released over 15 years ago on PlayStation 2, and now players who haven’t experienced the cult-classic strategy role-playing game’s origin title can go back and check it out for themselves on Nintendo Switch and PS4 with Disgaea 1 Complete. I’ve had minimal experience with the series myself, only playing 2015’s Disgaea 5: Alliance of Vengeance. With that, I was eager to look back and see where the series came from and how it has evolved since its original conception. It was a surprisingly familiar experience going from Disgaea 5 to Disgaea 1 Complete. Of course, both games do stem from the same series, but I expected the first game to be entirely different from the fifth. 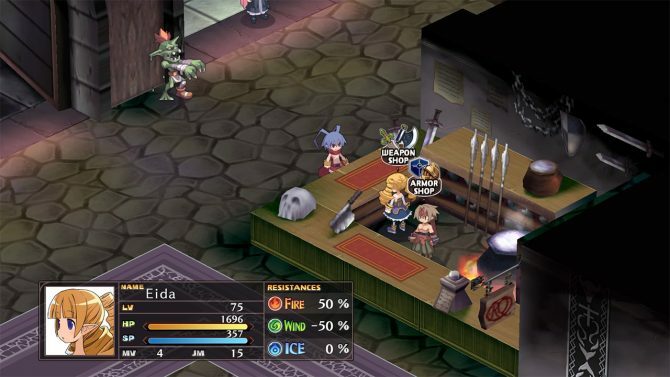 In Disgaea, players are placed in a hub world where everything outside of combat will be done. 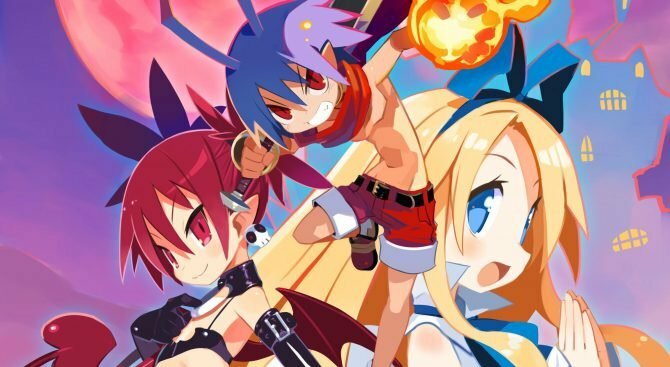 On the outside looking in, Disgaea may seem like a light-hearted game that wouldn’t require much brain power, but you’d be entirely wrong to think that way. Many mechanics need to be considered in combat. What lineup of characters you’ll be using, who needs to level up, who works well together, what do my characters have equipped, will this enemy be able to damage me from here, etc. It can be quite an overwhelming experience, but it’s one that can feel quite rewarding when all’s said and done. This may be going into spoiler territory, but considering this is the first game in a series that’s on game five, I think it’s okay to talk about. Around mid-game, Laharl discovers that there are many overlords across many netherworlds and this sort of becomes the basis for the Disgaea series as a whole. I thought it was a pretty cool way of connecting the multitude of characters from the entire series. Throughout your journey, you’ll meet a whole slew of characters that’ll help you or try and hurt you along the way. There’s nobody in the first game that really stuck out to me besides Flone just because she’s so damn adorable. I also found Laharl to be a relatively annoying protagonist who I didn’t care much about. But on top of the main cast, you’ll also be crafting different characters and monsters to fight alongside you. While they don’t add anything to the story, the game does let you name them and customize them a little bit. 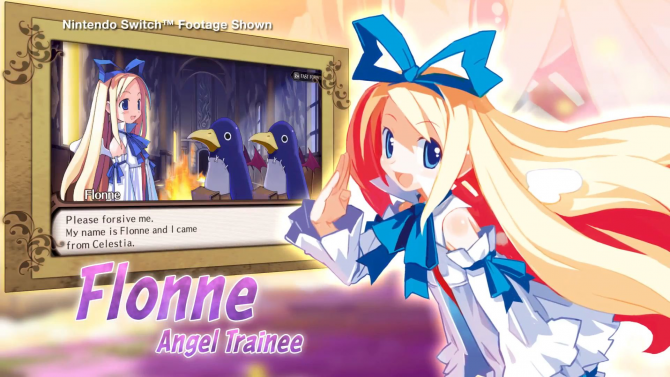 This adds a bit of a personal layer to Disgaea’s world, and it’s something that I enjoyed quite a lot. 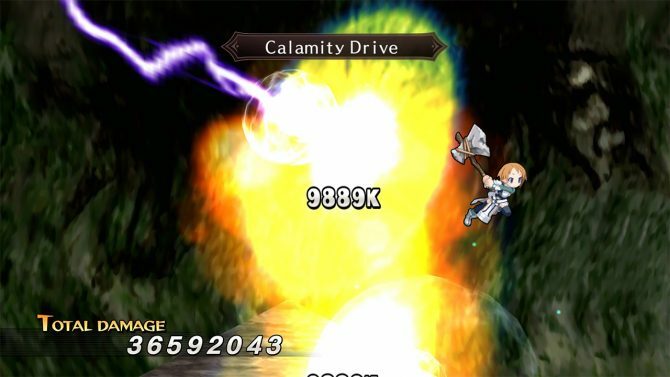 Combat is where you’ll be spending a good chunk of your time in Disgaea 1 Complete, as every character can be leveled from 1 to 999. You’ll be doing a lot of grinding. This is sort of where the game started to drag for me, as there are points where you’ll have to go back and level up your characters, and the process can sometimes feel very slow and monotonous. With this being an SRPG, many of the levels you go back to play out the same way every time, which can become quite dull when you have to grind. Of course, if you know this series, then you know the Item World which is a much more refreshing area to grind in my opinion, as it’ll also reap you some good benefits. If you’re unfamiliar with Item World, it’s actually a fascinating idea. Just about every single item in Disgaea can be entered by your party members. From there you go through various floors, taking out enemies and leveling up. As you go through floors, your item also levels up, in return increasing its power and usefulness. So while players are going to farm the game’s main missions for the bonuses they can achieve upon completion and execution, the Item World is a great place to grant your party even more benefits. Disgaea does this cool thing where really everything you do enhances how your party grows and fights. Speaking of fights, there are many strategies and ways in which players can go about taking out enemies. There’s a large variety of classes and characters that use different skills and weapons. 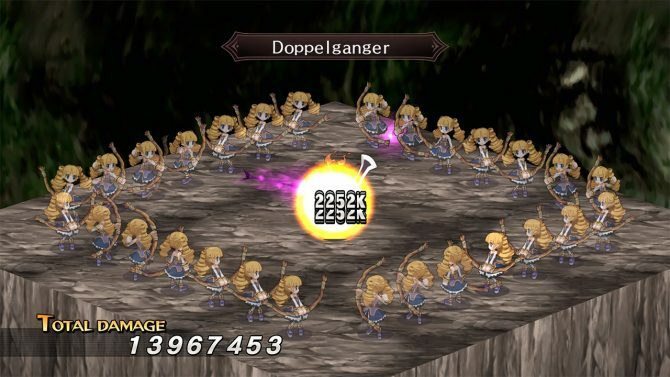 While there are many skills you can use in Disgaea 1 Complete, positioning your characters correctly is also essential as they can benefit one another substantially in combat. There’s really a whole bunch of different gameplay mechanics at your disposal, and it’s no wonder the series has become so popular amongst SRPG fans. 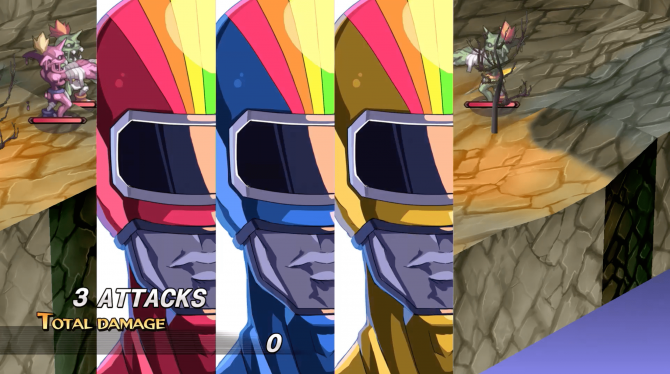 With the level cap being so high, your characters will be able to dish out massive damage. I’ve never really been a massive proponent of JRPGs that have high damage and levels for the sake of them being there. Often it can just be hard to know the scale of your attacks and because of this, progression can sometimes feel less rewarding to me. In comparison, games that have a much smaller scale when it comes to levels and damage really do give me personally a better sense of progression, where I can see a huge difference in my characters from level 20 to 40 in a game like Final Fantasy, compared to something like characters that are level 300 in Disgaea. This is more of a personal gripe I’ve always had with the series, but it’s not one that hampers the gameplay for me in any sort of way. Graphically, Disgaea 1 Complete is on par with the more modern Disgaea titles. It’s a huge step up from the original PlayStation 2 title. The only problem I had with visuals was sometimes working the camera around some wonky map design. Because the camera is set to four different angles, there were times when it was a little tricky managing so much going on. One thing I did appreciate was how the game breaks up chapters. It does it in a way that’s like watching an anime: a character named Etna narrates what’s going to happen next in the series, and it’s done in a very comical, over-the-top, kind of way. I found myself actually laughing during these moments. If you haven’t played Disgaea: Hour of Darkness, and you’re a fan of some of the later titles, this is a great game to try. If you have played the first title before, this may not be a valuable purchase to you as many of the new additions in Complete are minor outside of the visual quality. I think Switch owners will find this title to be the most ideal as grinding when you have some free time is a lot of fun. 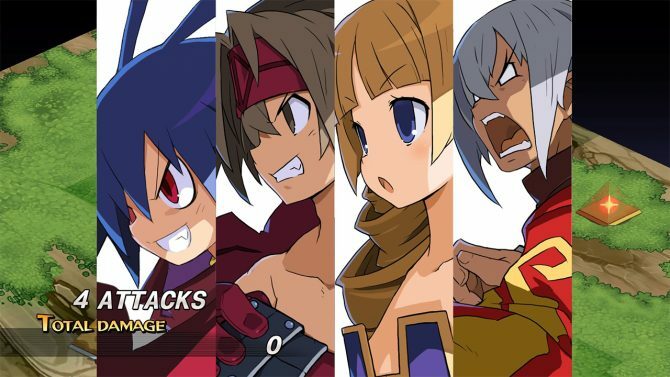 Overall, I’m happy I got a chance to see this longrunning series’ early history with Disgaea 1 Complete, and I look forward to seeing where the games go next.